When it was first released, the KFC near us had run out by the time we stopped over to try it. I was heartbroken thinking I had missed my chance. But since KFC brought it back, we got a second chance to try it. 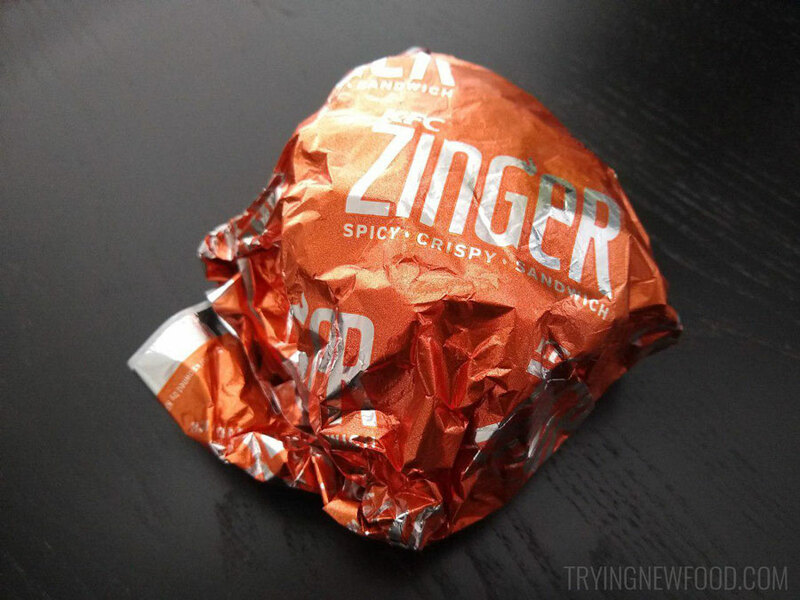 We had stopped by the drive-thru, so when I got home and pulled this little wrapped sandwich from the bag, I was a bit worried. Luckily, it wasn’t a Zinger. Unfortunately, they forgot to give us the Mrs. Buttersworth maple syrup that is supposed to go with it. 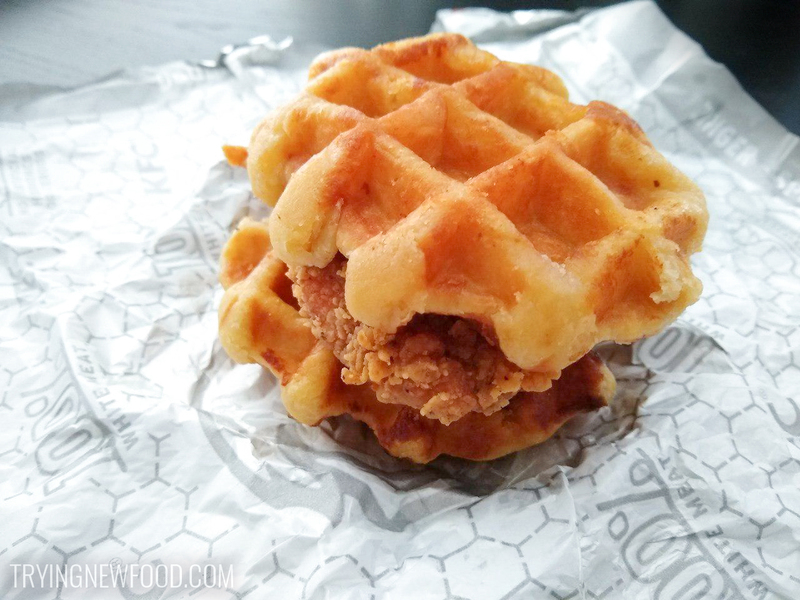 But the waffle part of the sandwich ended up being super sweet on its own, so we never even needed the syrup. When we got really close to it, we could see little sugar crystals on the waffle. It reminded my husband of funnel cake. The chicken inside tasted like typical KFC chicken, just a little dry. The syrup might have helped with that, but everything was already sugary enough as-is. It was okay, but not something I’ll be craving in the future. 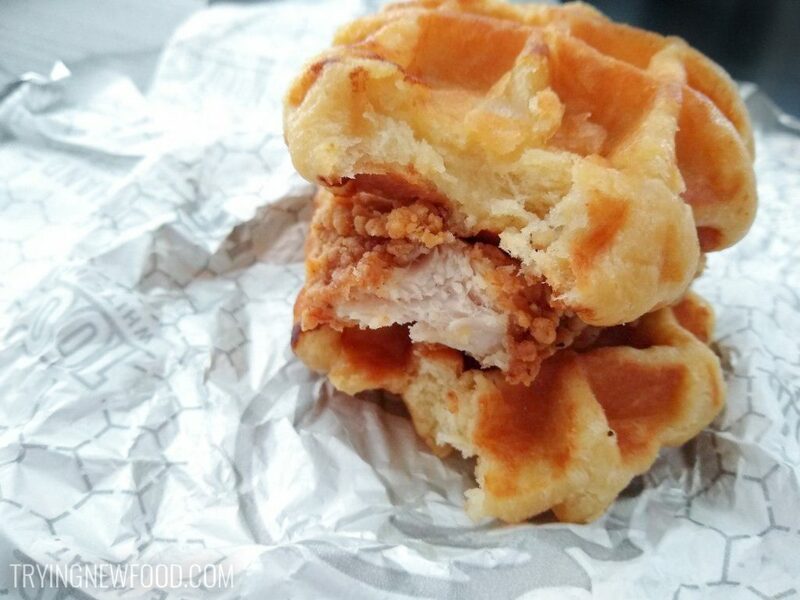 If you’ve had the chance to try the KFC Chicken & Waffles Sandwich, please leave a comment below letting us know what you thought!